After a long train ride from Kumamoto to Hakata, and dropping our luggage at our hotel, we went in search for lunch. We still recalled the very nice もつ鍋 Motsu Nabe which we had tried at a yatai stall in Fukuoka years ago. 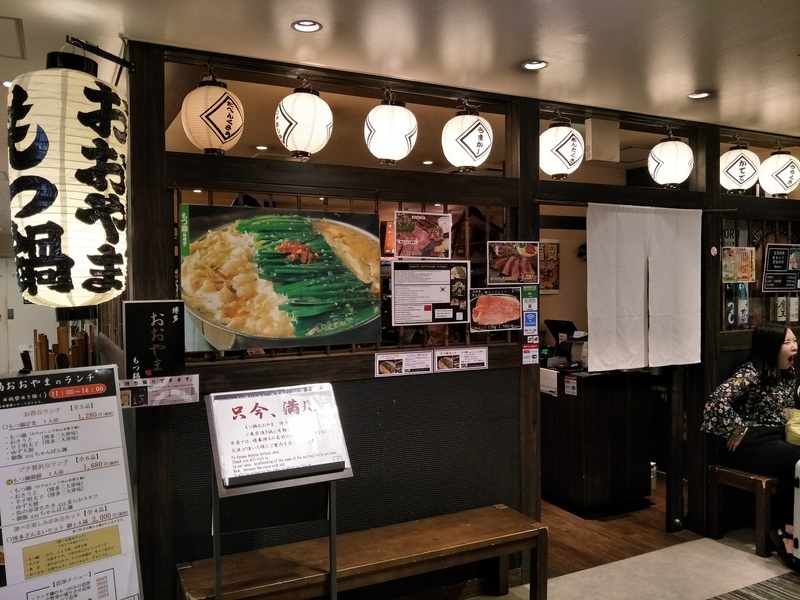 So when we saw this restaurant specialising in Motsu Nabe, we went in without hesitation. We ordered the Motsu Nabe Set Meal for 2 pax (¥2560), where we could opt for either rice or Champon noodles. The set also included sides such as Hakata Spicy Cod Roe (raw), Okyuto (seaweed jelly), and pickles (citron radish). 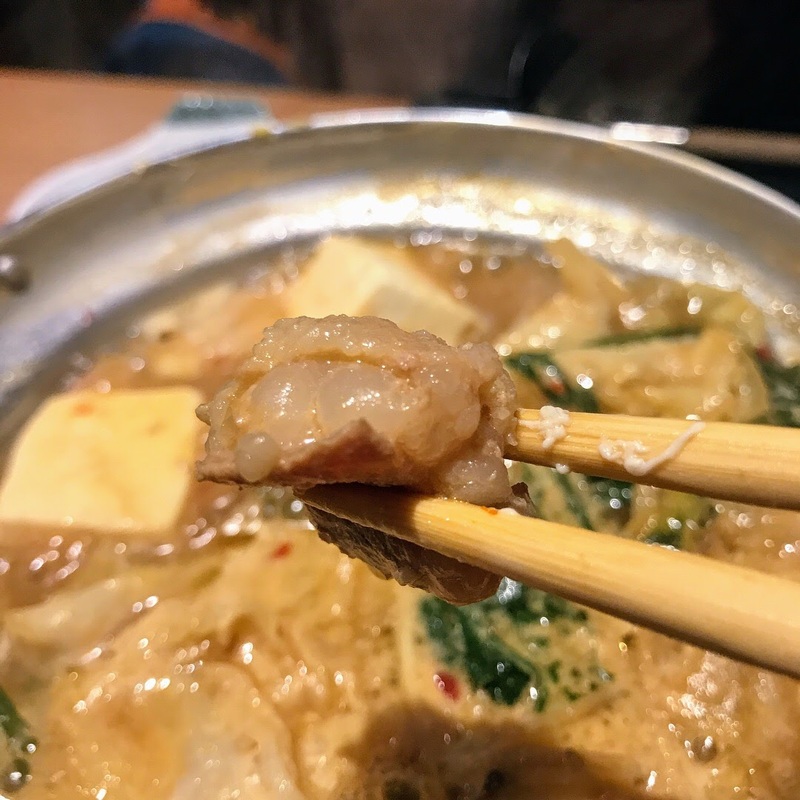 We enjoyed the side dishes, but the Motsu Nabe was quite a disappointment with very little offals… There was probably much more tofu than anything else 😦 The soup and noodles were not bad though. Note: Menu was available in English, Korean, and Chinese, so it was fairly easy to order. We were quite famished for dinner and decided that we should have a great meal for this last night in 四国 Shikoku! Then we laid our eyes on this 焼鳥 yakitori shop and the bright lights attracted us. 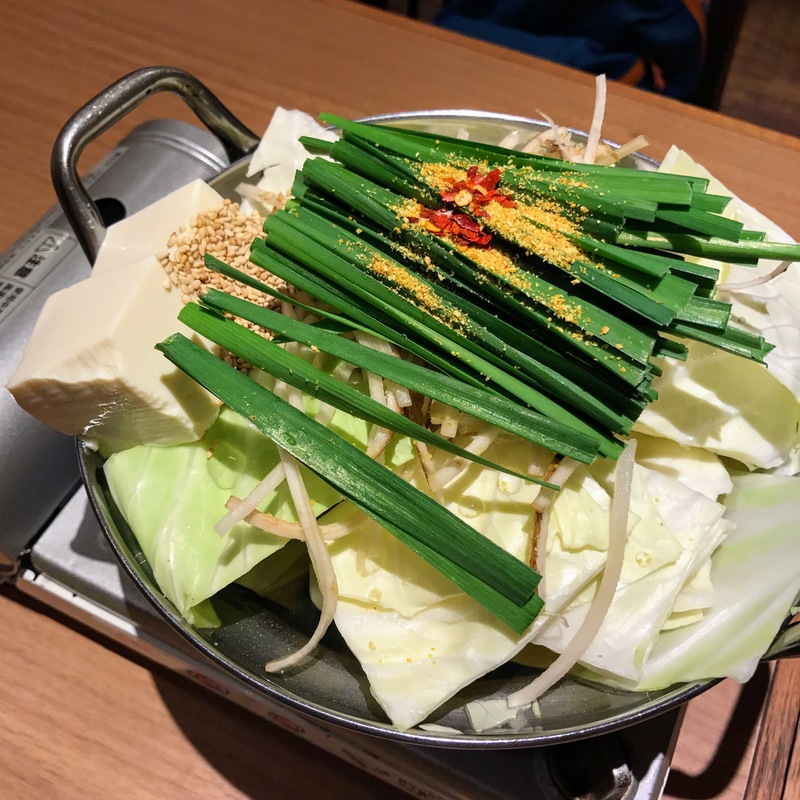 Plus it advertised もつ鍋 Motsu Nabe! We were definitely in need of hot pot to counter this very cold day! After our sumptuous lunch at the Farmer’s Market, we took a train to Asakusa and visited the 浅草文化観光センター Asakusa Culture Tourist Information Center observation deck first. From here we could get a bird’s eye view of the 仲見世通り Nakamise Shopping Street which is a lead-up to 浅草寺 Senso-ji Temple. Asakusa is a nice area to visit, with an impressive 雷門 Kaminarimon Gate leading to a street of cute, traditional Japanese fares and wares, right up to an equally impressive 浅草寺 Senso-ji Temple which is the oldest temple in Tokyo and one of its most significant.